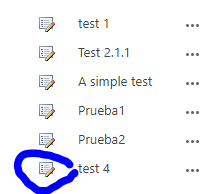 I am trying to create an "Edit Item" button that does the same function as the "Edit Item" button of the top left of the ribbon. My customer finds the ribbon Edit Item button difficult to find for users and wants to incorporate the button on the actual default form itself. I was thinking of using a Webpart (Script Editor or Content Editor) to achieve this. Does anyone have any ideas? 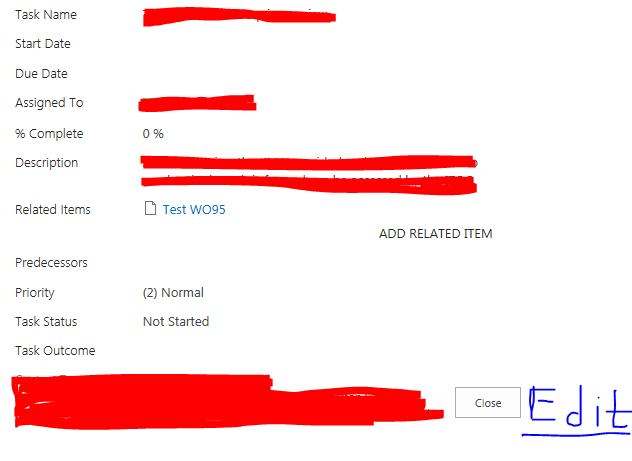 I am very new to Sharepoint,so if any code could be provided it would be greatly appreciated. In this first picture, it shows the list item. This is not the location I want to edit it. In this second image, it shows what happens when you click on the list item. It displays the form and the information submitted. It is from this point the user will want to edit their information. Where it says "Edit" in blue is where I would roughly like the button to be. 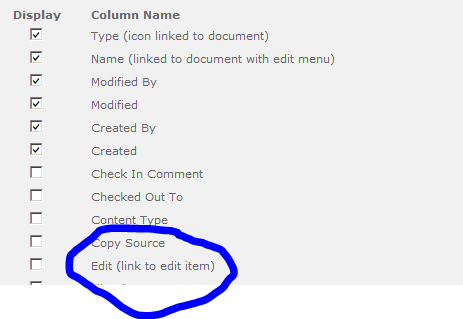 Mark the column Edit (Link to edit item). See image 1. You can see the result in image 2. Not the answer you're looking for? Browse other questions tagged custom-form form content-editor-web-part edit-form edit or ask your own question.